What an amazing kickoff for That Business Show with Jamie Meloni. On today’s show, I had the pleasure of interviewing two amazing entrepreneurs. 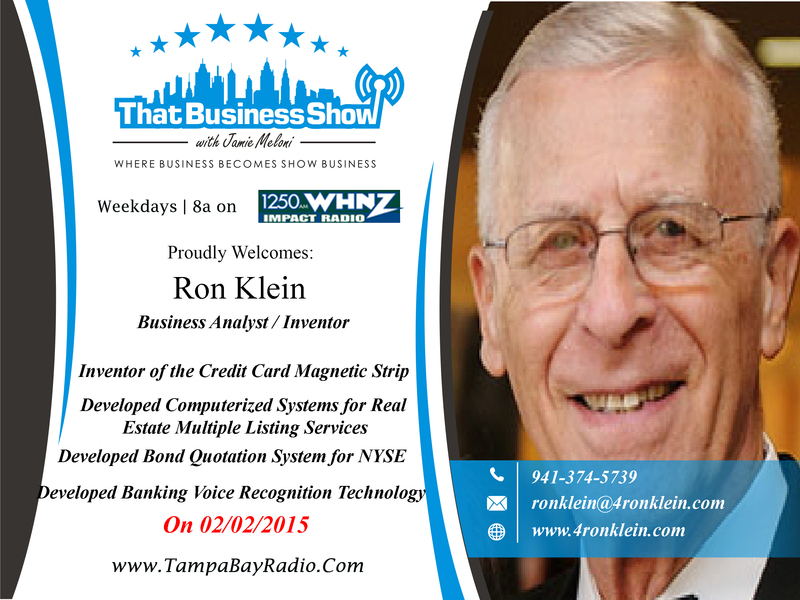 First was Ron Klein who is one of the most accomplished individuals I have ever met and is responsible for a number of revolutionary inventions including the Magnetic Strip on the back of credit cards as well as developed the first Multiple Listing Services for Realtors. In addition, he developed the Bond Quotation and Trade Information Systems that the New York Stock Exchange use. He is a true entrepreneur with only one failure he admitted to today – Retirement. Still at the age of 80 he is going strong and just can’t keep away from innovative ideas that the market needs. He is currently working on a product to help the visually impaired see, more on that to follow in the media for sure once it hits the market. Catch more about Ron Klein at his website http://www.thegrandfatherofpossibilities.com. 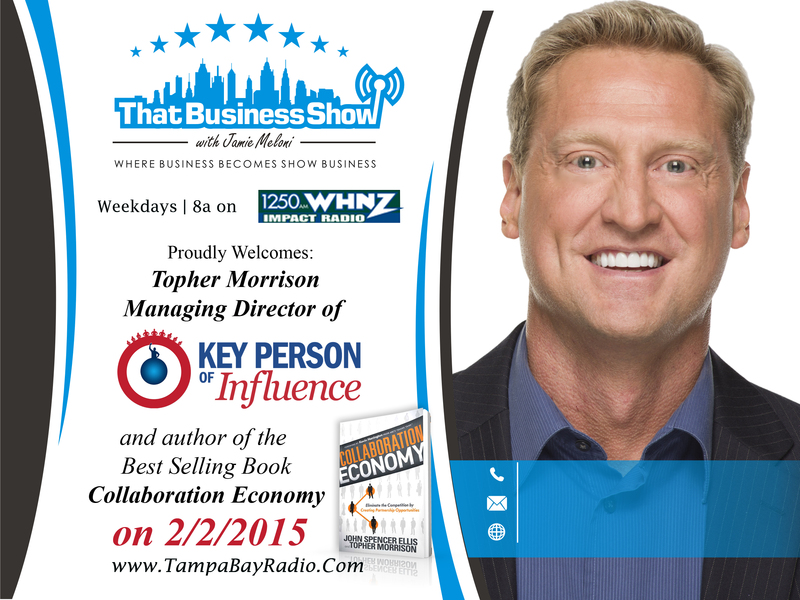 Secondly, I spoke with renowned speaker and Managing Director of Key Person of Influence, Topher Morrison. Topher has an incredible knack for helping entrepreneurs develop their pitch, idea and product lines and has written a number of books on entrepreneurship including his most recent book, Collaboration Economy where he explains in great detail the shifts in our society’s business and market needs from the Agriculture Age to the now Collaboration Age where collaboration is the key to entrepreneurial success. Be sure to reach out to Topher at http://www.tophermorrison.com for his book and inquire about a Business Discovery session with him to see how he can help grow your business!